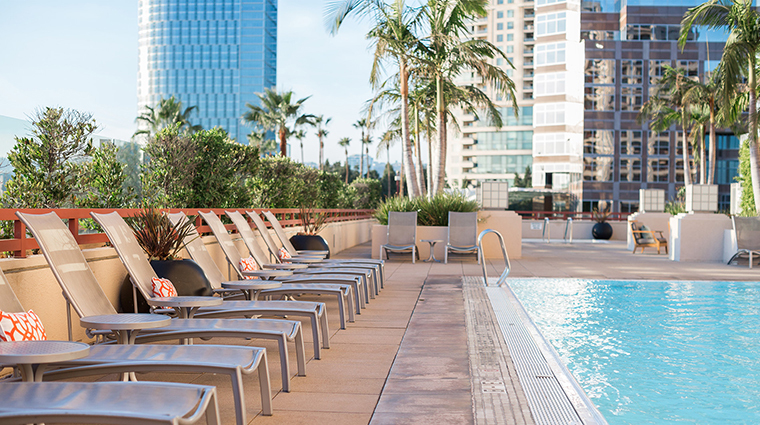 Located in the heart of L.A., InterContinental Los Angeles Century City at Beverly Hills is ideal for the business traveler in the entertainment industry. It’s conveniently located next to Fox Studios, multiple entertainment agencies and downtown Beverly Hills. 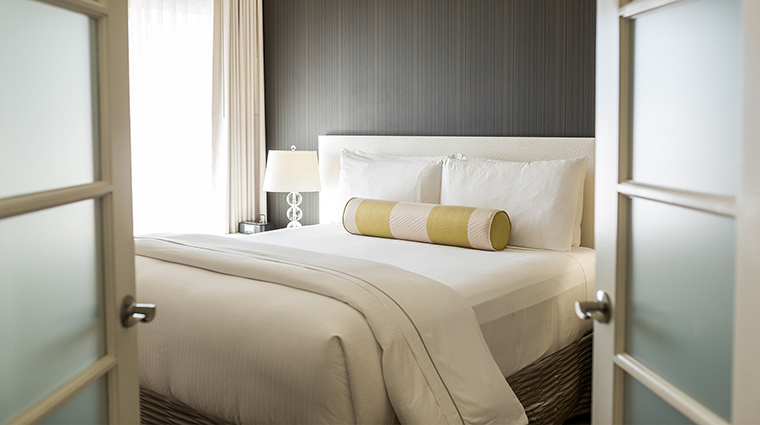 After a multi-million-dollar renovation project (some areas are still underway), the hotel’s 363 rooms are modern and elegant with furnishings in dark wood veneer and neutral-toned fabrics and décor. 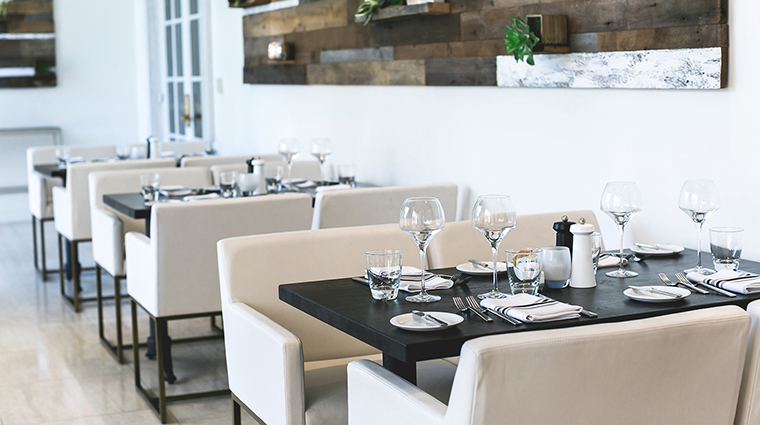 The chic hotel offers all-day dining at the sleek, monochrome restaurant Mari Los Angeles, helmed by executive chef Jonathan Wood. 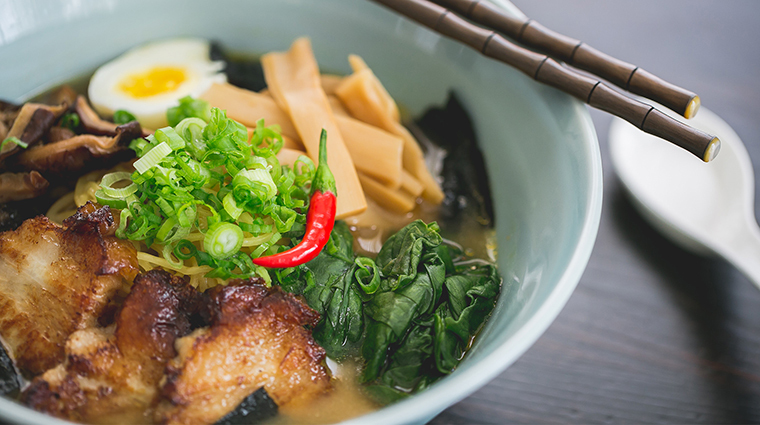 The signature venue offers an international menu with a special homage to Asian standards, such as sushi and ramen. Being in the heart of the action with ample event space (the largest room, the ballroom, holds up to 400 people), the Century City hotel constantly buzzes with activity — from bat mitzvahs to weddings. 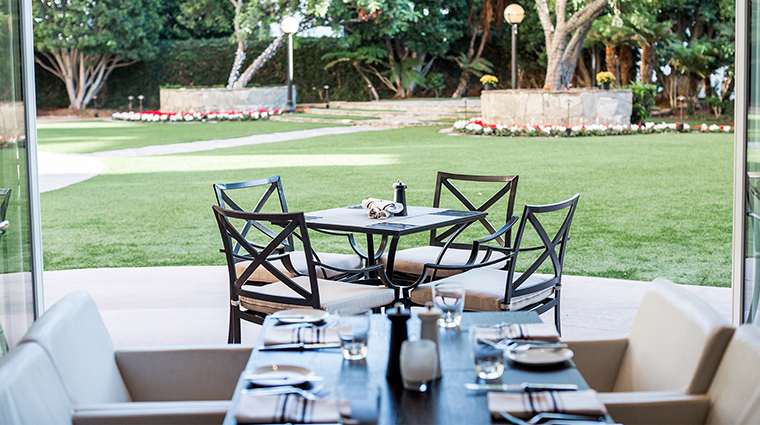 The garden courtyard is a favorite for events under L.A.’s perpetually sunny skies. 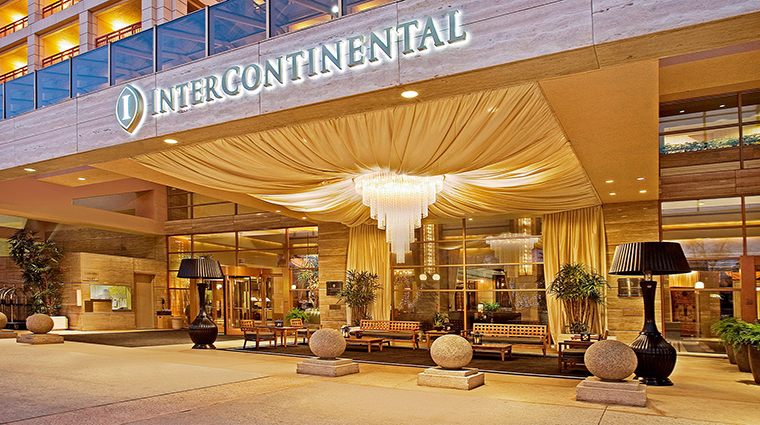 Due to the unique Mayan-temple architecture at the top of the building, InterContinental Century City offers a bevy of unique suite configurations. For example, if you want a large outdoor balcony versus a spacious living room, ask for it. With more than 45 whiskies from around the world, Copper Lounge is great for brown spirit aficionados. 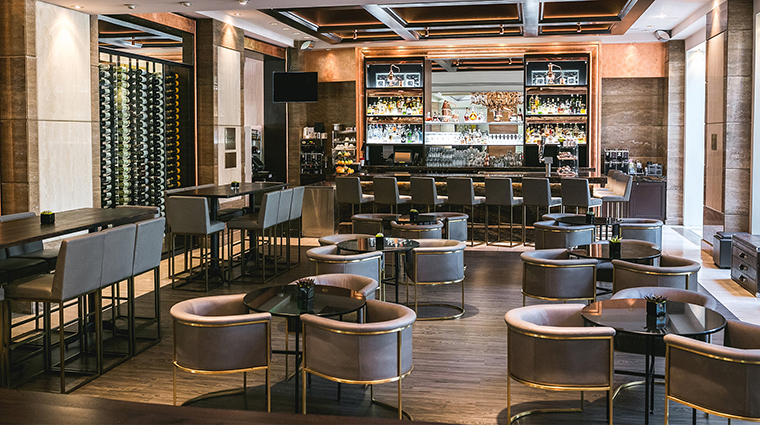 A full bar is available, but standouts include themed flights of whiskey (like Irish varieties or all-rye selections) and the hotel’s own Angel’s Envy Distillery blend. 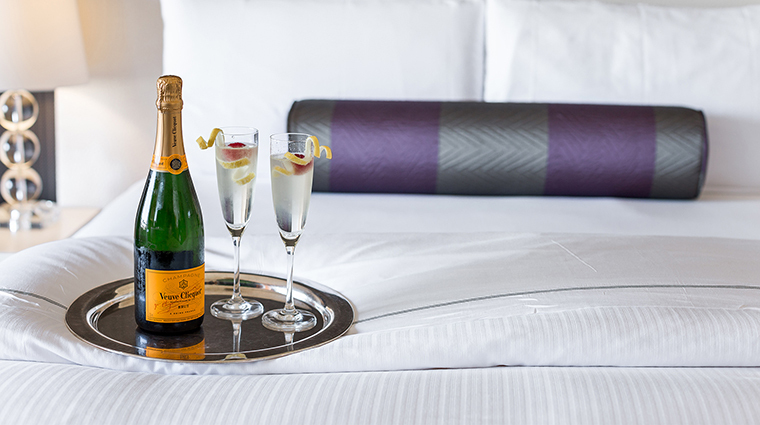 The concierge can make almost anything happen. 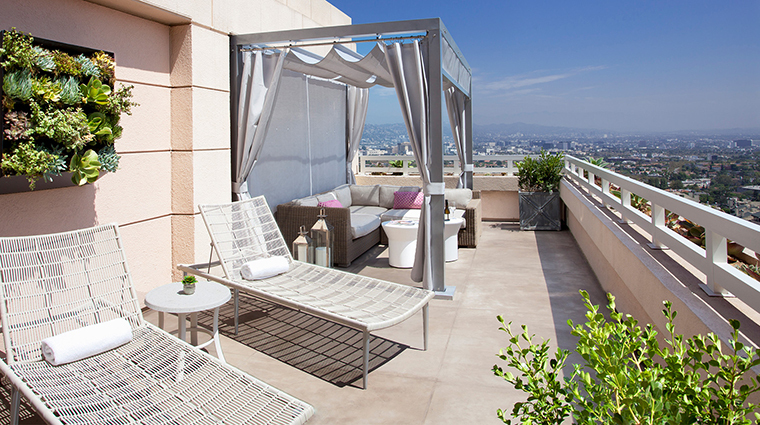 Simply say the word and you can have a dinner in your suite with items from the local Century City Farmer's Market or a private movie night in the garden complete with a picnic basket from Mari Los Angeles. 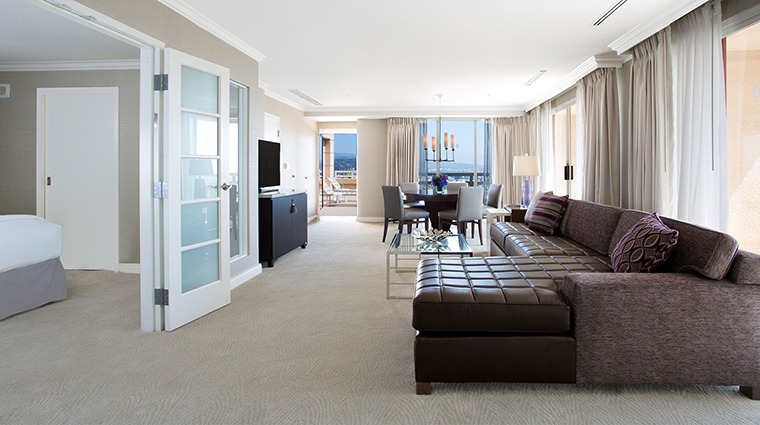 Every room is equipped with a private balcony or terrace. Some feature views of Beverly Hills and the Hollywood Hills, while from others you can see planes in flight near LAX and the Santa Monica Pier on a clear day. The L.A. hotel boasts a Hollywood resume — the building stands on the area where the 1963 movie Cleopatra was filmed. Many other movies and TV shows have been shot there as well. With the remodel, a family-friendly category of rooms was added. 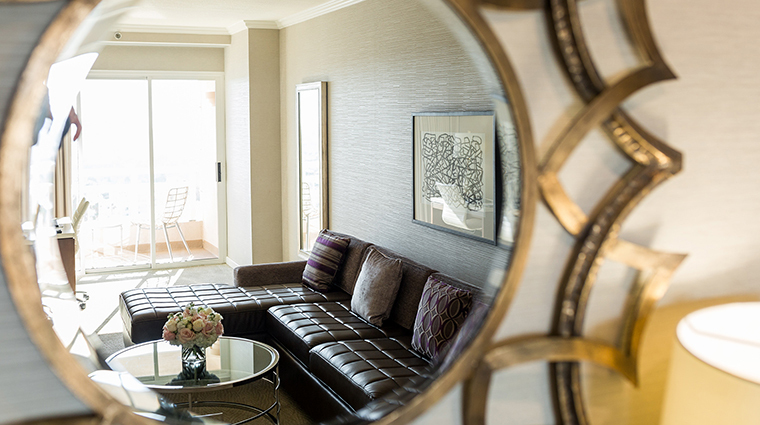 Now, there are four suites with an interconnecting option, which easily accommodates families traveling with children. 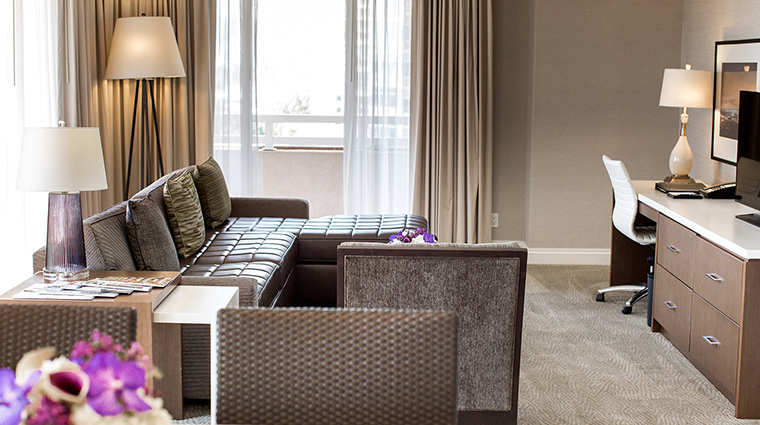 To take advantage of this, request the Premier Suite with a connecting room. For large events, the Grand Ballroom was recently renovated featuring customizable LED lighting that highlights the mirrored wall and stunning chandeliers. 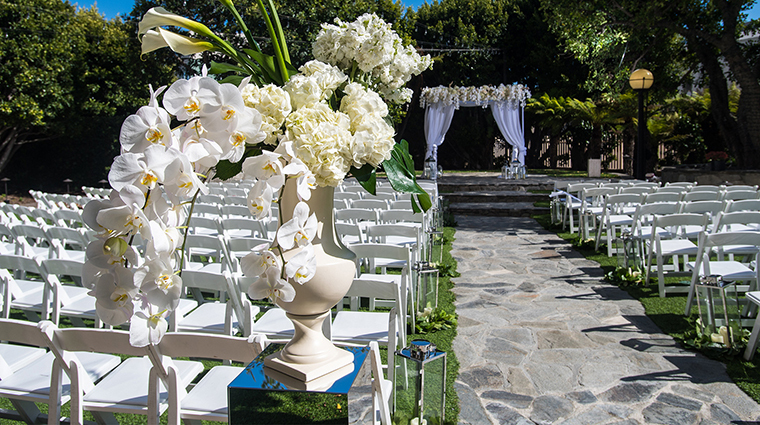 The 4,000-square-foot space can be divided into four smaller rooms or opened up to accommodate up to 300 seated guests. Ask for Scott Allen, Copper Lounge’s bar manager, for excellent recommendations on which cocktail or whiskey to try. He’s passionate and well-read on both topics. For the best views, make sure to book a room on the fourth floor or higher. 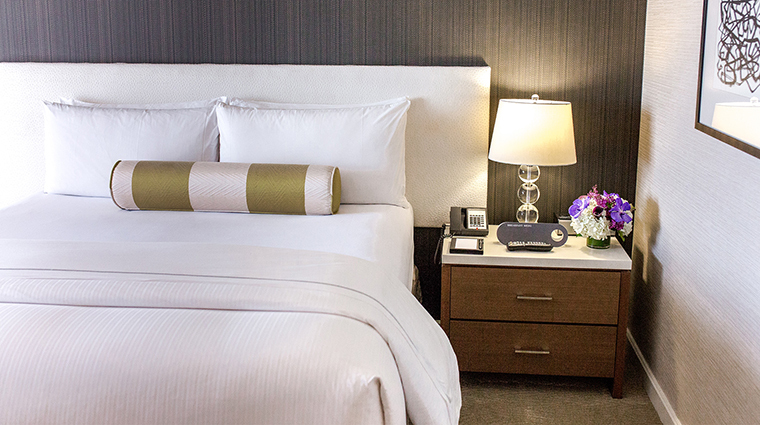 State-of-the-art amenities include iPhone-docking stations, Wi-Fi and flat-screen HDTVs with premium cable channels. 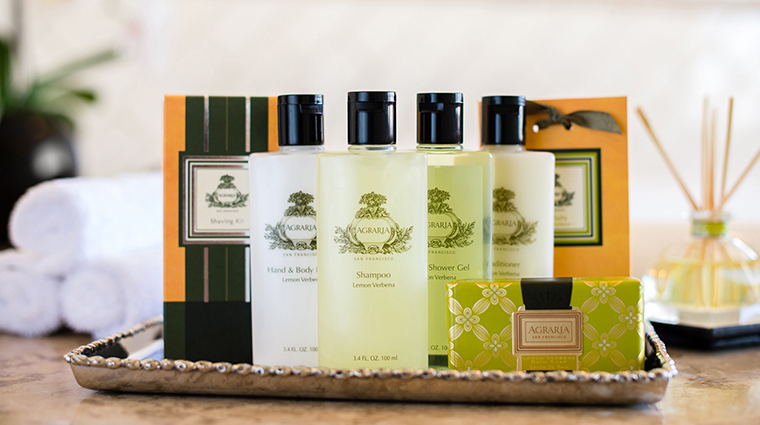 Stocked with lemon-verbena-scented Agraria amenities, bathrooms have Italian marble throughout, a walk-in shower and a separate soaking tub. Everything from the sheets to the slippers are Italian in the rooms at the Los Angeles hotel. 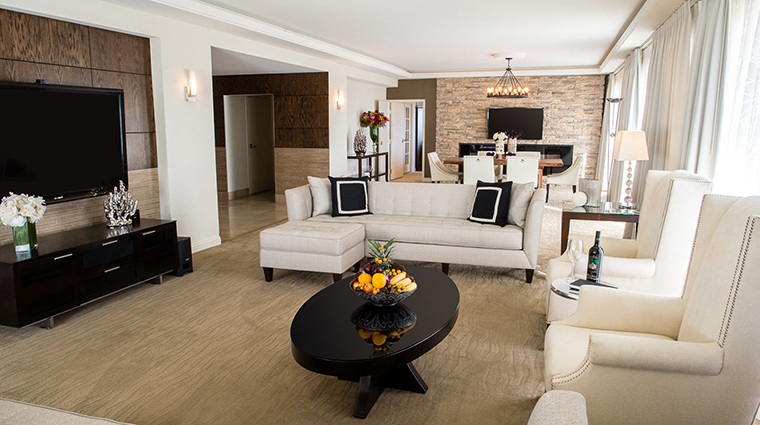 Ideal for honeymooners or a large family, the Royal Suite is the crème de la crème of accommodations. It features two bedrooms and 2.5 bathrooms, a wet bar, a kitchenette, a library with a 55-inch TV and LED fireplace and a wrap-around balcony. Mari Los Angeles serves up California cuisine with a global twist, inspired by executive chef Jonathan Wood’s international travels. Think tomato, melon and burrata salad; miso ramen with pork chashu; or kombu-wrapped sea bass. In addition to providing a wide array of options for all three meals daily, the luxury hotel’s restaurant also offers separate vegan and gluten-free menus at both lunch and dinner. Happy hour drink and food specials abound from 3 to 7 p.m. at Copper Lounge. It’s a lively scene with plenty of entertainment executives from the nearby office buildings. 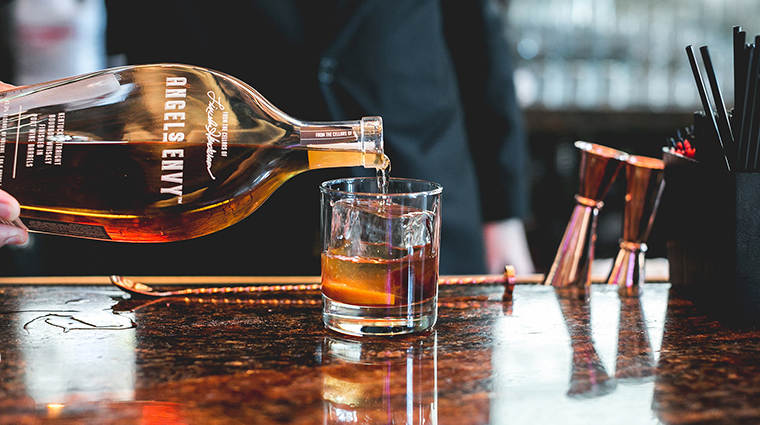 At Copper Lounge, there are more than 39 bourbons and 25 scotches to choose from, including seven original bourbon concoctions and classic whiskey cocktails, too. Most exotic whiskies on the menu are from Wales and France.